The legal marijuana industry is changing lives, and a revolutionary new technology is changing how companies here can deliver top-notch products to their customer. It's truly transformative. Marijuana growers are no different from growers of any other agricultural product. Despite the lingering stigma and legal aspects, marijuana growers want to deliver the best possible product in many categories. They want to satisfy the industry's desire for robust plants that grow quickly and produce a high yield. And they want to satisfy consumers' preferences for variations in taste, smell, precision dosing, and desired effects. The better they meet those needs, the more they sell, and the higher price they command. 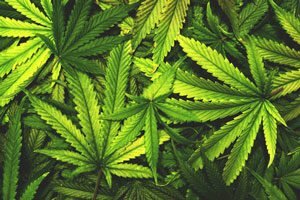 Unfortunately, the U.S. Drug Enforcement Agency's (DEA) classification of the plant as a schedule 1 drug means the federal government deems marijuana as having no accepted medical use. Currently, marijuana is classified similarly to meth and heroin. That, in turn, means the well-funded research needed to usher in the next round of cannabis-based wonder drugs is not as robust as it needs to be. But even so, there is still research being performed. The real problem is that there is no database, central or otherwise, that keeps track of different strains of marijuana plants and their different traits. Food crop geneticists can simply enter a few factors and out comes reams of data telling them how they can breed for whatever characteristic they need. What happen to GBLX it was one of the stocks you picked to do well it started off well but since it's been going downhill what happen why the big drop California had no effects on this company what was it that you saw in this company that is no longer there I was invested but had to get out. I purchased "The Roadmap To Marijuana Millions". I followed the advise and the purchased stocks that were recommended before Jan 1, 2018. I simply wonder where the millions are and when I may see any of the gains. I bought ACBFF, CANN, CBDS, MJNA, MTP, SRNA, TRTC, TWMJF and upon a later date, VPOR was recommended. I have yet to realize "any profit"! I am at a quandary as what to do…continue to hang on for the millions? I suppose I should have only purchased the one prized stock SMG?! ?